Piano Concerto No. 2 in F major, Op. 102, by Dmitri Shostakovich was composed in 1957 for his son Maxim’s 19th birthday. Maxim premiered the piece during his graduation at the Moscow Conservatory. It is an uncharacteristically cheerful piece, much more so than most of Shostakovich’s works. 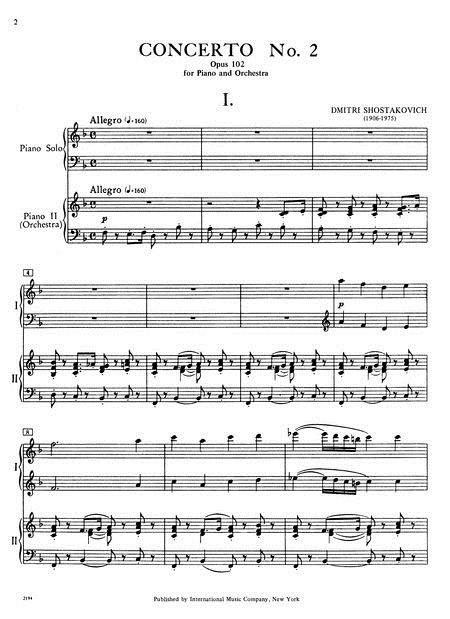 The work is scored for solo piano, three flutes (third doubling piccolo), two oboes, two clarinets, two bassoons, four horns, timpani, snare drum and strings. Despite his dismissal of the concerto, the composer performed it himself on a number of occasions, and recorded it along with his first concerto. Both are played at fast tempi rarely matched in modern recordings. 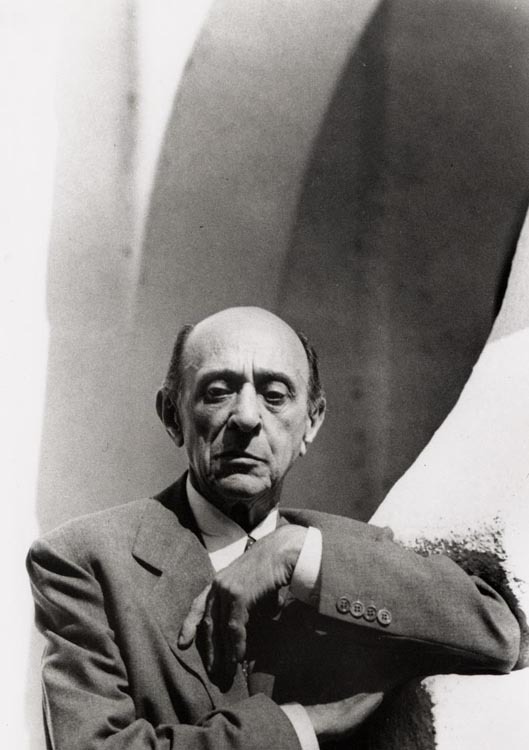 Arnold Schoenberg (1874-1951), A Survivor from Warsaw op. 46. From the Album Simon Rattle Edition: The Second Viennese School. 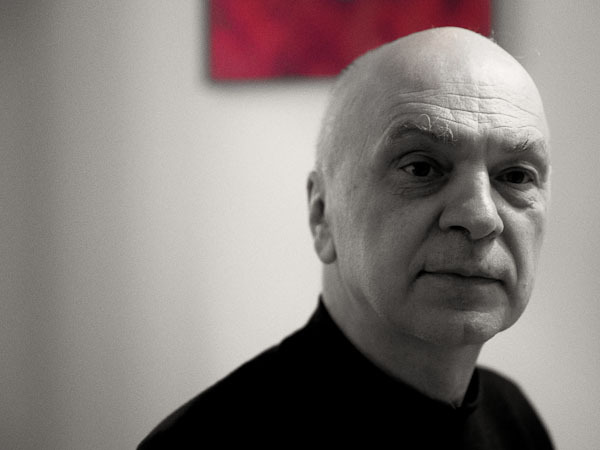 Franz Mazura: speaker / Men’s voices of the City of Brimingham Symphony chorus / City of Birmingham Symphony Orchestra / Conductor: Simon Rattle. But I have no recollection how I got underground to live in the sewers of Warsaw for so long a time. The day began as usual: Reveille when it still was dark. “Get out!” Whether you slept or whether worries kept you awake the whole night. You had been separated from your children, from your wife, from your parents. You don’t know what happened to them… How could you sleep? Differenz/Wiederholung 1.2 is composed by Bernhard Lang for Flute, Tenor Saxophone and Piano. dw1 war das erste stück der differenz/wiederholungsserie, in dem ich vom prinzip der vorangehenden schrift-stücke dahingehend abwich, dass ich bestimmte details meiner handschrift virtuell sampelte und loopte; das wiederholungszeichen und die anzahl der wiederholungen wurden mit einem mal beherrschende parameter des stücks. ich versuchte mich hier in einer art phänomenologie der wiederholung. es tauchen hier u.a. dw 1.2 entstand auf anregung von erik drescher als umarbeitung des trios für flöte, cello und klavier zu flöte, saxophon und klavier. aufgrund der teilweise völlig veränderten klanglichkeit wurden alle partien neu konzipiert, das klangmaterial weitgehend umstrukturiert.